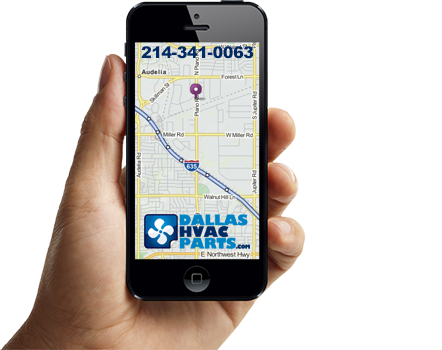 Need replacement heating or cooling parts? Our team of professionals can help! If you don’t see what you need or you have any questions, please don’t hesitate to contact us at 214-341-0063. Our team of professionals is always available to help you. “I wanted to send a note of thanks to you and your staff. From the first contact everyone was friendly and helpful. I was cutting it close to making it to your store before closing. The gentleman I spoke to on the phone told me you were often there later than 6:00 pm. With traffic I made it just before 6. The person behind the counter quickly located the motor that I needed and called in Chad to help with the wiring changes that were needed. They also made sure that I had the capacitor that I needed. I went home and installed the motor and it did not work. There were a couple of additional wires that I had questions about, so the next day I called and Chad again helped me out. I cannot say enough about his patience and expertise. It is so nice to experience this high level of competence and service after the sale! I will recommend you to everyone I know. “Your team recently went above the call of duty to find a variable speed motor for our air handler that had been discontinued. Glen even did some repair to the blower housing and installed the new motor. Another young man behind the counter went over the installation process with me and I was able to install the unit just as he had said. 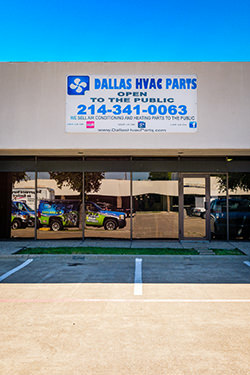 So often we only take time to complain but I Thank You and your team of experts for all the help and I will be the first to recommend Dallas HVAC Parts to my family and friends. — Frank and Deborah C.